In 1957, at the death of his father and after a long study of art, Charles Joguet took over the family wine estate with his mother. Both work the vine and extract recognized wine. But their success makes them want to go further. Charles Joguet then meets three people who will advise him in his winemaking, and for the bottle marketing of his wines. Thanks to them, Charles extends his estate in 1962 and 1976. Charles Joguet is visionary, and relies on technological innovations. The winegrower is also one of the first winemakers to wine separately wines from different plots. Charles Joguet finally gave way to Michel Pinard, then Jacques Genet. The Domaine Joguet is spread over 36 hectares of vines in AOC Chinon of Cabernet Franc grape variety, and on 3 hectares in AOC Touraine de Chenin Blanc and Pineau de la Loire. The vineyard is worked respecting the vines and the environment: limited yields, qualitative works, manual harvesting. The Joguet estate has set up "integrated pest management" to protect its vineyards: abandoning chemicals for rigorous observation and a thorough knowledge of the biology of the vines. The technology allows the production of quality wines, with temperature-controlled vinification adapted to each type of wine. At Domaine Joguet, the grape harvests are the subject of special care: date specific to each plot, preservation of the grapes, sorting of the grapes. A perfectly controlled vinification allows to obtain a varied range of Loire wines: from the wine of pleasure to the wine of guard. 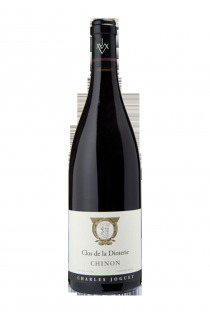 The AOC Chinon Clos de la Dioterie, for example, presents an aromatic complexity that flourishes after five years of custody, or even more. 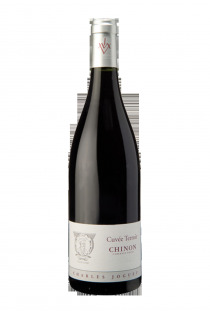 On the contrary, the AOC Chinon Cuvée du Terroir is more round and greedy. 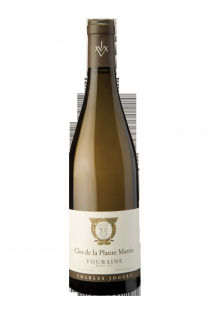 In AOC Touraine, the Chenin Clos de la Plante Martin is the perfect companion of the Loire fish. Charles Joguet met then 3 men who offer advice for the vinification, and for the trade of his wine. Thanks to them, Charles extends his area in 1962 and 1976. He is also a visionary and quickly uses technological innovations. He is one of the first to vinify separately wines from different plots. 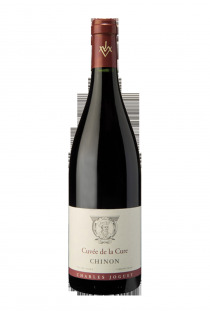 Since then, Charles Joguet gave way to Michel Pinard and Jacques Genet in the 80s, and Withdrew from the area in 1997. The area extends today on 36 hectares of vines planted in Chinon Cabernet Franc, and 3ha in Touraine. The vineyard is worked in accordance with the vine and the environment with limited yields, integrated pest management, qualitative works, hand-picking and winemaking thermo adapted to each wine.